Kerri is a Reiki Master Teacher in Usui, Gendai, Komyo, Karuna, Kundalini® and Lightarian Reiki. 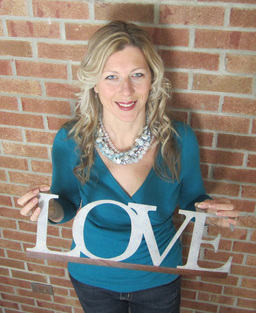 She is the founder of Circle of Light® and co-founder of Kundalini Reiki® Canada. She developed & teaches Reiki For Kids & the 'Paws For Reiki' Animal Reiki program. For over a decade she has taught hundreds of students the rewarding modality of Reiki. She is a Registered Teacher with the Canadian Reiki Association and follows their ethics in practice and guidelines for teaching. As a mother of 3, she has had many years of experiencing the joy of Reiki with children & loves teaching Reiki to all ages! She is also an IET® Master-Instructor, and Certified Holistic Healer and teaches Intuition Development workshops via Practical Intuition and through the centre. She also teaches Axiatonal Re-Alignment and is a Tibetan Yoga Instructor. When she is not teaching, or seeing clients, (or making soap, or building websites!) she is taking people around the world on amazing healing trips on one of the Circle of Light Retreats! Kim is a wellness seeker with an innate curiosity and commitment to professional growth. Her long-time therapeutic and relaxation massage practice draws upon her knowledge of Lomi Lomi massage, direct fascial technique, reflexology, Reiki, Integrated Energy Therapy and Body Memory Recall. Her signature Holistic Wellness Massage is a reflection of her many styles and techniques. Hot Sticks , Stones and Thermal palms are a welcome add on to your massage, especially for heat lovers. She also has been trained in Mayan Abdominal Massage and offers that specialty service to women. Kim places a high value on nurturing and healing touch and brings an intuitive and compassionate awareness into her work. Along with her continually evolving massage practice, she is excited to offer group movement classes and unique movement/ dance playshops. In 2014, she completed the 200 hr yoga teacher training with Yogacara in Costa Rica as well as the Dance Our Way Home facilitator training with Erica Ross. Kim loves to incorporate music, intuition and flow into her work. One of her greatest joys comes from weaving these elements together; whether in a Holistic Wellness Massage, or an inspired Dance Our Way Home invitation that she has lovingly created for a group. Kirsten is a psychic empath with clairvoyant, clairsentient and claircognazant abilities. Throughout the years, she has developed further in her practices through various forms of energy healing modalities, intuitive coaching and continued spiritual studies. Kirsten began channeling and receiving messages as a medium and continues to evolve her abilities. 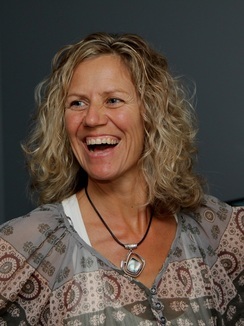 Kirsten’s passion is to help others to heal by connecting them to their higher-self through Integrated Energy Therapy® sessions as well as through her role as an Angel Guidance and Healing Practitioner. This has brought her an incredible sense of joy and appreciation, to connect even deeper, and to share these wonderful healing modalities with others. In addition, Kirsten discovered her natural ability to read and decipher messages through the art of Tea Leaf Reading. Readings bring healing, meaningful messages and new insights on your past, present and future. Kirsten may combine readings with Angel Guidance and Healing to convey messages of inspiration and insight. Session allow you to explore any issues you wish with the help of your angels and spirit guides and may also bring guidance, healing and support from archangels, ascended masters, deceased loved ones, or Spirit.